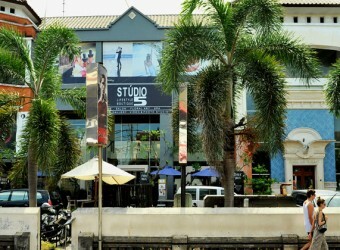 Bali Souvenior Shop Studio 5 is located in Seminyak which has many latest fashion shops. They sugget a natural life style as a total beauty butique house and have spa, salon, cafe, wedding gallery and photo studio in the building. The popular spa menu, Head Spa is a perfect way to refresh your mind! Also, nail care and eyelash extenshion are popular!